Crown India is one of the leading manufacturers of crown caps and lug caps in the country. A deep-rooted company from the past 15 years with business transactions being carried out in India as well as abroad. 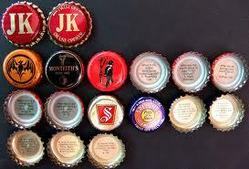 We are engaged in the production of varied range of bottle crowns and caps which are primarily used in the industries like Food & Beverages and Breweries. We deal in the manufacturing of crown corks which are extensively used in packaging of Milk bottles, Soft drinks, Sauces and Beers etc. The name and business strength that has been earned by our organization today is due to a well equipped and able staff, who have a varied experience and knowledge of serving the customers to their satisfaction.